Portable, all-mahogany parlor-size guitar with a sweet, vintage vibe. 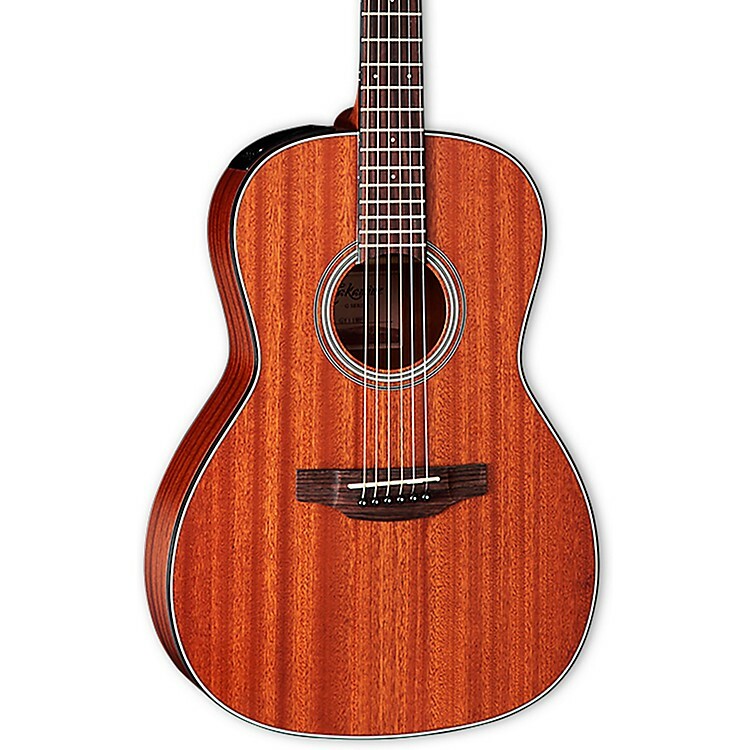 This cool, all-mahogany, New Yorker-sized Takamine is great for acoustic blues, fingerstyle guitar or roots music. The low-gloss, natural satin finish adds a great old-school vibe to the instrument, as well as the slot headstock. Like all Takamine guitars, the transition to the stage is made effortless with the addition of Takamine’s own TP-4T electronics, complete with a 2-band equalizer and chromatic tuner built-in. Order this fun-sized Takamine today.